These are quotes from employees of A&C. So many of us work with clients every day who have struggled with thoughts and plans of suicide. Unfortunately, this is common in the world of behavioral health. Mental illness is the driving force of almost every suicide, and any agency worth its salt is going to screen all clients for this risk. But is that enough? Indiana is far above the national average in suicide attempt and completion rates. It is the 2nd leading cause of death for people ages 15-34. The state has the nation’s highest rate of students who have contemplated suicide at 19% and the 2nd highest rate of attempts at 11%. With numbers like this, it feels crucial to take a look at our methods for detecting suicide risk and ask ourselves how we can do better. Enter Zero Suicide. Developed by the Suicide Prevention Resource Center, it’s a model of care meant to bolster the effectiveness of an agency’s suicide prevention plan. A&C was introduced to this model through a learning community where different organizations across the country share and discuss ways to improve practices. 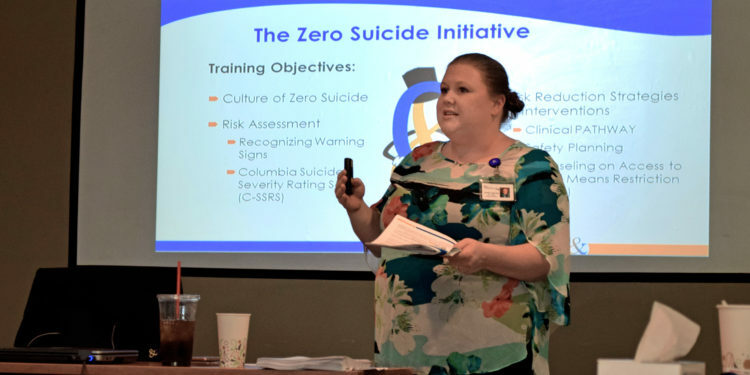 The Substance Abuse and Mental Health Services Administration (SAMHSA) chose to fund Zero Suicide implementation for a few learning community participants, and A&C was selected. 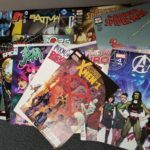 “It was a natural fit,” said Matt Oliver, A&C’s Chief Clinical and Informatics Officer and chair of the Zero Suicide Committee. He and the nine other members of the ZS Committee have now worked for over a year on implementation. While a year sounds like a long time, this effort is organization-wide, meaning that every one of the 700+ Adult & Child employees must be trained. September has been the month of ZS training. Employees who work one-on-one with clients in the clinics, in therapy sessions, skills sessions, etc. have completed classroom trainings. Anyone working behind the scenes has taken an online training course. Staff members are trained to look for indicators of a potentially suicidal person and then taught what questions to ask to determine risk. “We don’t want people to slip through the cracks,” said Matt. If someone expresses suicidal intent, they are placed on the ZS Pathway, a process taught to direct care staff during classroom trainings. 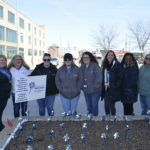 The Pathway is designed to fortify clients with several different levels of support including weekly check-ins from A&C’s Crisis Team, enrollment in therapy, and creation of a Safety Plan providing steps to take when experiencing suicidal thoughts. Even after clients improve and are removed from the Pathway, they are still working with primary care providers and receiving supplemental support from the Crisis team. Equally important to adopting the Pathway model is shifting A&C culture around the topic of suicide prevention. Part of adopting ZS into an organization is for employees to understand that every suicide is preventable and that prevention is part of everyone’s job. Teaching staff how to detect and offer help to those struggling with suicidal thoughts is important to build up confidence around the topic. A staff confident in their prevention knowledge and plan of action is what success in ZS looks like. With suicide being such a large problem in young people, A&C’s ZS push will involve more emphasis placed on detecting risk in youth. Some may think that talking to kids and teenagers about suicide will introduce them to the idea, but this is a myth. With the statistics that we have, it’s the reality of teenagers’ lives to experience thoughts of suicide. The majority already have passing thoughts about it from time to time. For many it’s not a serious issue, but for those who may be struggling, we never want to feel too squeamish to do a safety check-in. Matt Oliver says he hopes this effort will make a dent in the Indiana statistics. “We’d like suicide to be a never event,” he said. After all of the training wraps up at the end of September, the official date Zero Suicide goes into practice is October 1st. After that, it is to remain an ongoing standard within the A&C culture. The ZS model is the first formal Pathway the organization has adopted, and its success is likely to set the stage for other formal Pathways in the future. Over the past 5-7 years, school districts and Community Mental Health Centers have worked very closely to better serve the behavioral health and social needs of the families and students in our community. In recent years, evidence has demonstrated the remarkable impact early identification and intervention can have upon lifelong illnesses like mental illness. Adult and Child Center has been very proactive in working with communities and schools to increase access to services in their communities and school based partnerships are a great example of A&C’s willingness to innovate. Currently, Adult and Child Center has clinical staff (Therapists and Skills Development Specialists) embedded in 115 Central Indiana Schools. These staff are working with youth and families who demonstrate “at-risk” behaviors, struggle with emotional challenges which interfere with their ability to learn, or are otherwise identified as someone who might benefit from additional support. A&C staff work with teachers, school counselors, primary care physicians, and family support networks to teach families appropriate parenting, communication, and behavior management techniques. These services have made remarkable impact on the students and families they support. 89% of parents report feeling better equipped to handle emotional / behavioral needs of their child. 95% of parents report they would recommend Adult and Child Center services to another family.